LEHIGH VALLEY, PA (JULY 21, 2016) – At Cityline Construction, our staff is dedicated to helping you prevent the heartache of a fire or flood in your home, business or institution. As summer continues to sizzle, did you know that the month of July tallies the highest number of home fires caused by a faulty grill? The National Fire Prevention Association says that about 8,900 home fires are caused each year by a grill fire; with the majority of fires caused by a gas grill. 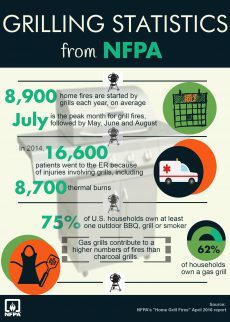 May, June and August follow as months with the highest incidences of grill fires. Additionally, as you plan your last summer getaway, did you know that mold and mildew can accumulate in your home if it is not properly cooled or ventilated? 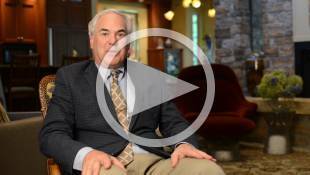 Here, six of the most preventable summertime home fire and water damage precautions to take. Never fire up your grill, smoker or outdoor fryer in, or near the house. At Cityline Construction, we suggest to place your grill at least five to 10 feet away from any exterior walls, garage, shed or other structure. Also, beware of roof overhangs or eaves. Sure, its nice to grill under an eave if it begins to rain, but according the City of Bethlehem Fire Department, some of the worst summer time fires in the city have been caused by grill flare ups. Hot embers from a grill can flare and enter up into the roof of a home! Embers can smolder for hours, before becoming a full fledge fire. The love of grilling also means routine maintenance of drip pans, and the removal of excess grease. Grill flare ups can quickly get out of control, and when a propane tank is involved, the danger factor increases. Fireworks, sparklers, and other pyrotechnics can cause fires, particularly in summer months when rain is scarce. If your family outing includes some fiery revelry, be sure to position fireworks away from your home, people, trees, and landscaping. Better yet, leave the job to professionals. Heading off on a summer retreat? Be sure to set your air conditioning unit/s to no lower than 75 degrees Fahrenheit. Mold and mildew can quickly set in when a home is sealed tight, and owners are away. Hard water at your home? It’s most prudent to consider turning off the mainline water source when away. The chemicals in hard water can clog ice maker or dishwashing machine lines, and even cause a damaging burst. Simple appliances can spell major water damage, particularly when no one is home. Additionally, an appliance flaw can cause a damaging slow trickle, or a quick, damaging burst. Consider installing a battery operated flood alarm; when properly placed near appliances, these inexpensive gadgets will alert and detect water from a leak. 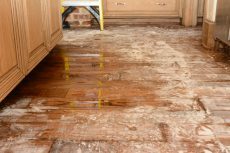 Water Damage from a faulty dishwasher line is a common cause of flooding.